Season Four of the animated series Star Wars Rebels will be the final season and with that it seems like a prime opportunity for the heroes to come up against the ultimate evil in the Star Wars galaxy. A new rumor from Star Wars News Net suggests we may see just that. 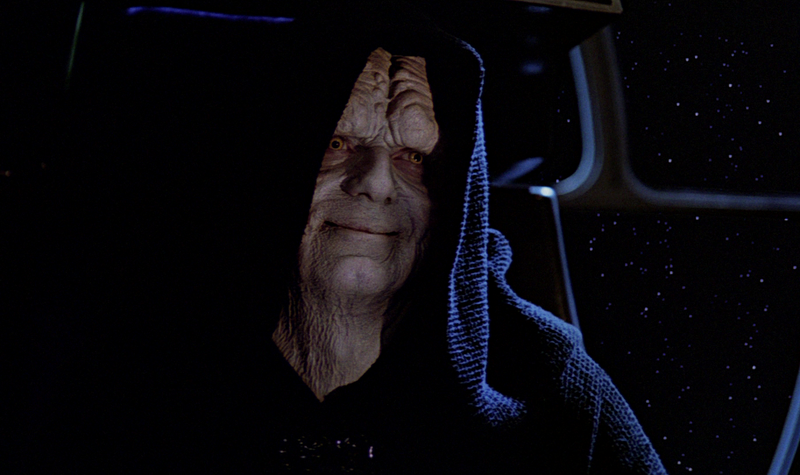 According to SWNN, Ian McDiarmid will be reprising his role as the Emperor in the upcoming final season. What makes this rumor stand out as a bit odd is that we have already heard the Emperor's voice on the series and he was voiced by Sam Witwer, not McDiarmid. Palpatine spoke to Vader via hologram, though we never actually saw him, in the Season Two premiere "The Siege of Lothal." While it may seem strange for the series to change actors in the middle of a series like this, if the producers of Star Wars Rebels could get McDiarmid to reprise his role for the series I don't think anybody would mind. It's also worth noting that during a press conference Star Wars Celebration in Orlando last month, Star Wars Rebels executive producer Dave Filoni did allude to the fact that we may see Vader and the Emperor one more time in the final season.